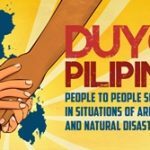 The Initiatives for International Dialogue (IID) together with its allied networks and partners in the Mindanao Peaceweavers (MPW) and All-Out Peace (AOP) condemn in the strongest possible way the bombings at the Cathedral of Our Lady of Mount Carmel in the town of Jolo, Sulu this morning. We offer our deepest condolences to the families and friends of those who were killed in the blasts, and we stand with the people of Sulu in denouncing this act of terror — Muslims and Christians alike. There is no justification for this senseless violence, and those responsible must be held accountable. We call on the authorities to exert its utmost effort bring to the perpetrators to justice and to offer its assistance to those who need it the most. We also call on the people to be vigilant, to share only verified information with the authorities, and to not fall into the trap of speculations that are meant to divide us. We call on everyone to continue to strengthen the unity we have forged in diversity, as we collectively pursue and struggle for a just and lasting peace in our land. Justice for the victims of the Jolo bombings! Genuine peace for the Bangsamoro!